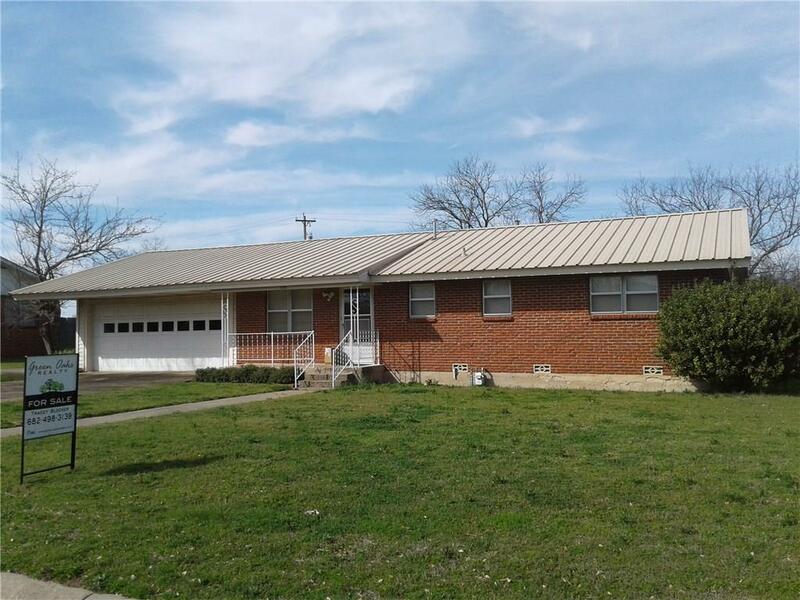 Beautiful, well-kept home in town but the feel of being in the county with mature pecan trees, a view for miles & donkey, deer sightings out back! This home features large bedrooms and many new updates throughout to include whole house water filtration system, C4 rated metal roof, furnace, thermostat, up-to-code interior door to garage, oven & stovetop, ceiling fans, light fixtures, wall switches & electrical outlets, toilets, interior paint throughout, window blinds, CO2 & smoke alarms, installation of clean-out line to sewer, updates to gas lines. 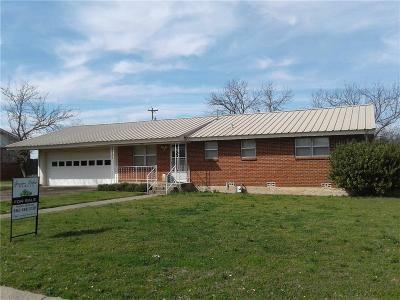 Two car garage with opener, laundry room, bonus storage room & an outdoor metal storage building. Refrigerator, washer & dryer convey. Buyer to verify all info.